-Could you introduce all your members? Q1. I Mean Us was formed in 2015, Mandark (Vocal/Synth) is well known as a member of 甜約翰 Sweet John. we can also listen to Mandark solo songs on her SoundCloud, she posted “Soulmate” 3 years ago. the song sounds like original version of “I Mean Us – Søulмaтe”. I Guess it is sign of the beginning of I Mean Us. please tell a little how I Mean Us started? -Chun Zhang (Gt/Vo): At the end of 2015, I happened to a car accident. When I recovered a little, Vitz (Gt) borrowed guitar effects from me at that time. I met and asked her with a serious injured face:”Do you want to started a Shoegaze band?” So this is how the story begins. At the time, Mandark (Key/Vo) already had some work on her Soundcloud (which including the very first demo of “Søulмaтe”), but she hasn’t participated in any bands yet. So I asked her willing through Vitz, surprisingly, I did not expect she called me and agreed immediately. After that I asked Hank (Bass). He was my senpai of senior high school, we both stayed in the same rock music club when we were in school. And finally, PP L (Drums) is the last piece of I Mean Us’s puzzle. Hank, PP L and I were all learning music instrument in the same place called 荒島 (meaning of “uninhabited island” in Chinese). We covered two songs when the first time we met: My Bloody Valentine – When You Sleep, DIIV – Doused. Q2. What are the personalities of each member of I Mean Us? Chun Zhang (guitar/vocal) : I am the youngest brother all the time (mental age). Vitz Yang (guitar) : An old maid in village. Happy bird of the band. Pam Lu (drums) : Always too serious. Q3. In your biography, you were inspired by 1990’s sounds. please tell me some names of 90s bands you love? and Are there any dream pop bands in present which inspired I Mean Us? Chun Zhang (Gt/Vo): My 90s all-the-time favorites: My Bloody Valentine, Yo La Tengo, Teenage Fanclub, Slowdive. I think there is no exactly “the dream pop band” which inspired us, but we do love M83 a lot! Q4. Theme of OST album is a fictional road movie. Are there any movies or novels which provided inspiration to OST album? -Actually the concept of road movie appeared is because Chun gave“Søulмaтe” a subtitle：”I love you like a road movie.” And then Mandark follow this sentence, calculating it back to music, which lead the music and the title of album become “OST”. Chun Zhang (Gt/Vo): As mentioned above, “road movie” is just a concept of “the original soundtrack between us”. The role of story could be anyone who listens to our album. Q5. album release party at Legacy, Taipei in 2018 was sold out (1000 audience). I believe doing sold out show in Legacy for an indie band is very difficult. Are there conscious things for being different from other bands and for being special for your fans? Vitz: We’re really grateful for the supports we have received from our producer, designer, and so many friends and staff who help us all the way from their heart to make the album and concert attractive. And then we try to show our precious, our feeling and those special moment to the audience. Q6. OST album will be released as Vinyl version on April 13th, RECORD STORE DAY in Japan. please tell some recommended points in this album? -I Mean Us love all of the beautiful and romantic things in life, and this time we pack all the feeling in this way. Such as love, hate, or departure. And all of them reflect on the album design and the songs, from your sight to your ears! Q7. You flied to Austin, USA to play at SXSW in March. How was the Austin show? what is the most impressive thing in US tour? Hank： The SXSW in Austin is awesome. Actually we accidentally had an opportunity to play one more show before Taiwan Beats night and that really warmed us up. Our performances may not be perfect, but we truly had great times and lots of fun when we played both shows. Q8. please tell us your favorite Taiwanese bands (at present / in the past, whichever). How do you feel Taiwanese Indie scene now? Lots of Taiwanese bands became popular in Japan in recent years, such as Manic Sheep, Sunset Rollercoaster, Elephant Gym etc. -Mandark: 知更 John Stoniae & 13月終了 undecimber fin. 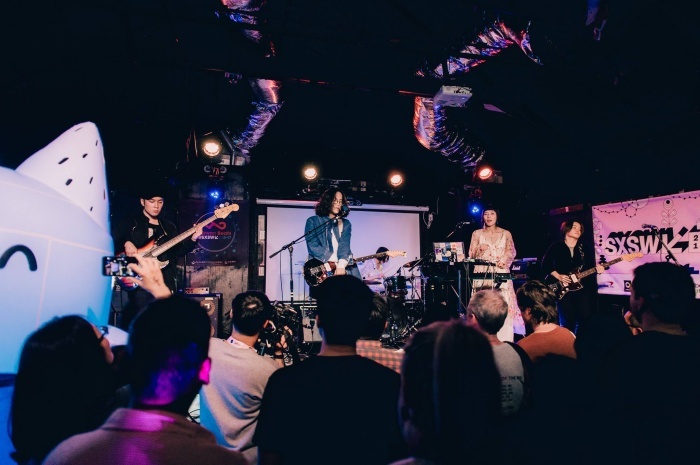 -Vitz: We believe the diversity of Taiwanese indie music is more and more exciting and uncategorizable. 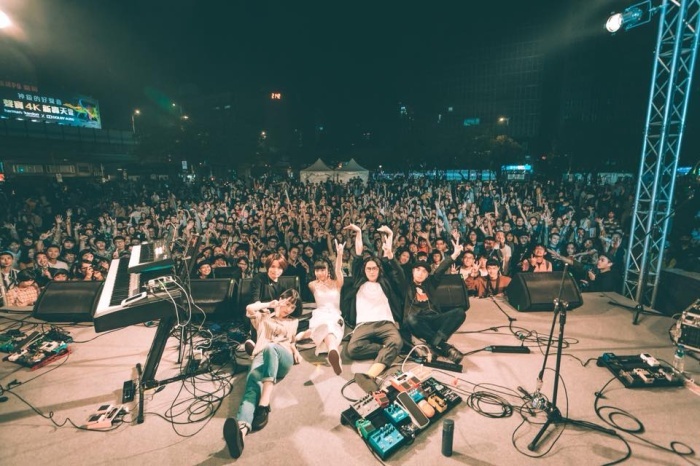 I do not represent the bands you mention above, but plenty of Taiwan indie band we know all take their band career seriously, and eager to attract audiences from all over the world with their unique taste. We do our best and let the music speak. Q9. Are there favorite places in Taipei? please tell some places where we should check? Q10. please give a word to Japanese fans who will get OST album from now on. It won’t let you down.